Diffuse intrinsic pontine gliomas (DIPG) are highly aggressive and difficult to treat brain tumors found at the base of the brain. They are glial tumors, meaning they arise from the brain’s glial tissue—tissue made up of cells that help support and protect the brain’s neurons. 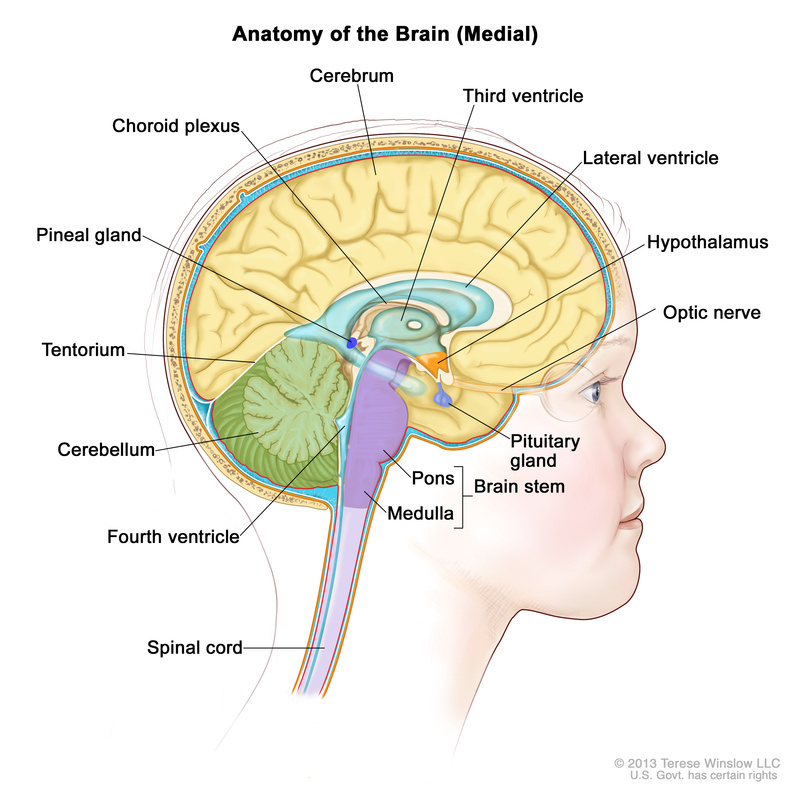 These tumors are found in an area of the brainstem (the lowest, stem-like part of the brain) called the pons, which controls many of the body’s most vital functions such as breathing, blood pressure, and heart rate. Diffuse intrinsic pontine gliomas account for 10% of all childhood central nervous system tumors. While DIPGs are usually diagnosed when children are between the ages of 5 and 9, they can occur at any age in childhood. These tumors occur in boys and girls equally and do not generally appear in adults. Medical advances in the past 40 years have greatly improved the survival rates for children diagnosed with most types of cancer, but these medical advances have done nothing for children with DIPG. Brain tumors remain the most common cause of cancer-related death in children, and DIPG is the leading cause of death from paediatric brain tumours. A child diagnosed with DIPG today faces the same prognosis as a child diagnosed 40 years ago. There is still no effective treatment and no chance of survival. Only 10% of children with DIPG survive for 2 years following their diagnosis, and less than 1% survive for 5 years. The median survival time is 9 months from diagnosis. At age 12, Lola Muñoz made a daunting decision: She chose to enter a clinical trial to test a new combination of chemotherapy drugs. Lola had been diagnosed with DIPG – she knew the chances that the trial would help her condition were slim. She knew that the treatments would make her very sick. But she did it anyway. “I wasn’t doing it for me. I was doing it for all the other kids who suffered,” she told photojournalist Moriah Ratner about a month after starting the trial. Ratner spent almost a year and a half with Lola and her family capturing every aspect of their lives. Her images paint a vibrant picture of Lola’s energy and passion for life – and her determination to do good. deadly disease; the vast majority of patients survive for less than a year after diagnosis. The tumor grows on a part of the brainstem called the pons, which is kind of like a neural superhighway linking the nerves in the brain to the rest of the body and controlling many vital functions, including breathing and heart beating. “In my mind it was operable. Like, you just cut it out, ’cause that’s what you do,” Melissa Muñoz, Lola’s mother, told Ratner. But that’s not the case with DIPG. The tumor weaves itself through the neural threads, making operation impossible. For decades, progress with DIPG had stalled due in part to the precarious location of the tumour. Researchers had long been hesitant to take biopsies, which limited the biological understanding of DIPG, explains Melanie Comito, the paediatric haematologist and oncologist at Upstate Medical University in Syracuse, New York, who cared for Lola through much of her journey. Autopsies helped, but without a snapshot of early tumour development, scientists largely remained in the dark. Many of the early clinical tests were trial and error. “It’s like curing cancer with a dart board,” says Keith Desserich, founder and chairman of The Cure Starts Now, a nonprofit dedicated to supporting and advancing children’s cancer research. Better biological info and a centralised database to share information have brought some answers, along with many more questions. For instance, why DIPG grows in the first place remains unknown. It doesn’t seem to be genetic, nor does it have environmental causes. Radiation therapy is the most common course of treatment, and for most patients it shrinks the tumour mass. “But radiation often just resets the clock,” says Comito. Even after radiation, it’s almost guaranteed the tumor will return, generally within half a year. Testing is still ongoing for the effectiveness of alternative treatments like chemotherapy, but the outlook is bleak. In the roughly 40 years since DIPG research began, scientists have conducted more than 250 clinical trials for new therapies. None have improved survival rates. In recent years, though, advances in our biological understanding of the disease, coupled with the strong support of families advocating for their children, have been helping to inch the work forward. For Lola, the problem started with what seemed to be a lazy eye. Then her face began to droop. The array of possible diagnoses that followed grew increasingly severe—Lyme disease, facial nerve palsy, and cerebral palsy, among others. Finally, the Muñoz family learned it was DIPG. Lola went through radiation, and the family was then presented with a decision: Should she do a clinical trial? “We felt like Lola is old enough, it’s her body” her father, Agustin Muñoz, told Ratner. “We’re not going to make decisions for her.” The family debated the risks of the three trials she qualified for, and Lola decided to head to St. Jude Children’s Research Hospital in Memphis, Tennessee.